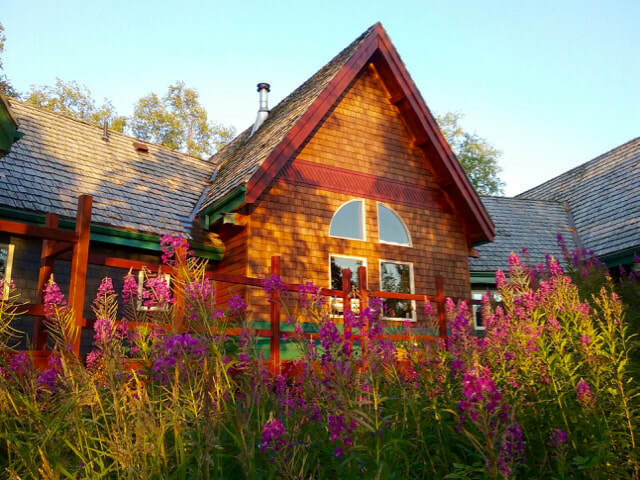 The Ridgewood's unique location offers the complete Alaskan experience: mountains, the ocean, glaciers, wildlife, first-class food and lodging. Soak up the Alaskan wilderness at this intimate, timber framed lodge in the island community of Halibut Cove, adjoining the Kachemak Bay State Park. Enjoy three wonderfully prepared meals each day, and highly personalized attention with majestic scenery, miles of beaches, and secluded salt water coves right out the front door. We are committed to making your time in Alaska memorable – GUARANTEED! Kevin and Bowman have a combined experience of 65 years on Kachemak Bay and in Kachemak Bay State Park. Whether your interest is fishing, glacier kayaking, wildlife viewing, bear viewing or hiking in the mountains, they can show you Alaska at its best. Eco-Tours, Bear Viewing, Fishing, and More! Alaska’s Ridgewood Wilderness Lodge is the vacation gateway to the Kenai Peninsula’s 150,000 sq. miles of extraordinary excitement and adventure. In one trip you can experience just about anything Alaska has to offer. 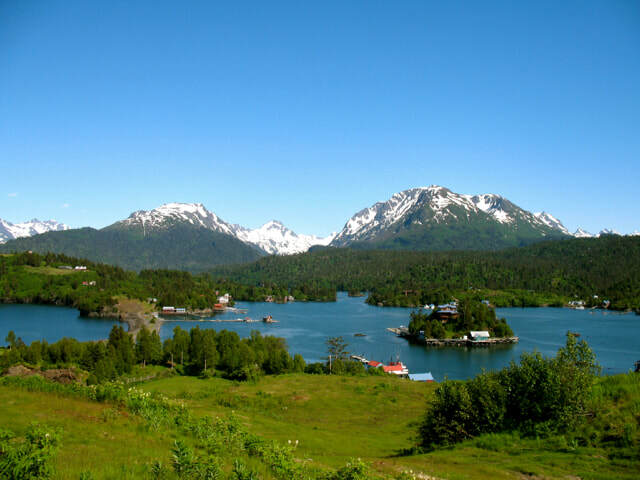 Other guided activities included in the cost of your stay are bird watching, marine wildlife viewing, hiking the extensive trail system within the Kachemak Bay State Park, glacier lake kayaking, miles of beaches to walk and beach comb, or let your imagination wander, visiting a last-century trapper’s cabin set amongst massive cotton woods along a clear mountain stream. Don't forget your trout rod for this may be the opportunity to catch that big rainbow trout. ​“Beautiful and breathtaking – a lifetime dream fulfilled. Thanks for the hiking, boating, and hospitality. Warm, kind, giving – you made us feel at home!" We are authorities at helping our guests book the best, most stunning Alaska bear watching tours. Indulge your senses watching for whales, porpoises, sea otters, and seals from the decks that surround the lodge. This eco system is quite unlike any other. Enjoy the sounds and the smells of this rich marine environment. When you return to the island, you can relax in the lodge, a secluded getaway with dramatic high ceilings cut across by rustic timbers. Your hosts in this secluded getaway are two sourdough Alaskans, Kevin and Lucinda Sidelinger. Kevin, who built the lodge using timbers from the Pacific Northwest and Alaska, created a building that compliments the environment. The Douglas fir, timber-framed bedrooms offer plenty of space as well as large windows and panoramic views of the bay, mountains, and beaches, along with private baths and an undeniably Alaskan flavor. Enjoy the mountains, and the cove from a comfy deck chair, talking to Kevin and Lucinda about their life in Alaska. They can always be encouraged to share their years of pioneering oyster farming on the bay, or trekking across remote wilderness areas in the Great Land with their favorite Llamas. It is the perfect complement to a very Alaskan experience. Join Lucinda as she prepares your meals, or just enjoy the melding of scents wafting from the kitchen. Lucinda will help you plan a memorable earth friendly Alaska family vacation. Halibut Cove is a small island community in a majestic setting. There are approximately 100 summer time residents and visitors who enjoy the 1 local restaurant, boardwalks, and 2 art galleries that culminate on one end of the island. Even Alaskans vacation to this part of the state to remind themselves of why they moved to Alaska in the first place. Alaska’s Ridgewood Wilderness Lodge is located on the Kenai Peninsula, on the South side of Kachemak Bay in Halibut Cove, Alaska, and is adjacent to the Kachemak Bay State Park, just 7 miles from Homer, Alaska.